Heading out for a late night bite, my man and I stopped into Melanie Pringles. A staple of Whitby, it's got something for everyone at great prices. It's a 50's/60's style restaurant with a nice patio. Their website is complete with their whole menu and a small clip of the seating area. The servers are polite, quick and patient to their indecisive customers, like us. We finally decided on Chicken Fajitas and the Chicken Club Penne Bake...not to mention the Crispy Crunch Milkshake and the Root Beer Float! My man definitely forgot what happens when you drop ice cream in pop! Hahahaha! The float made him feel like a kid again! They have AMAZING milkshakes, made with ice cream and very thick. 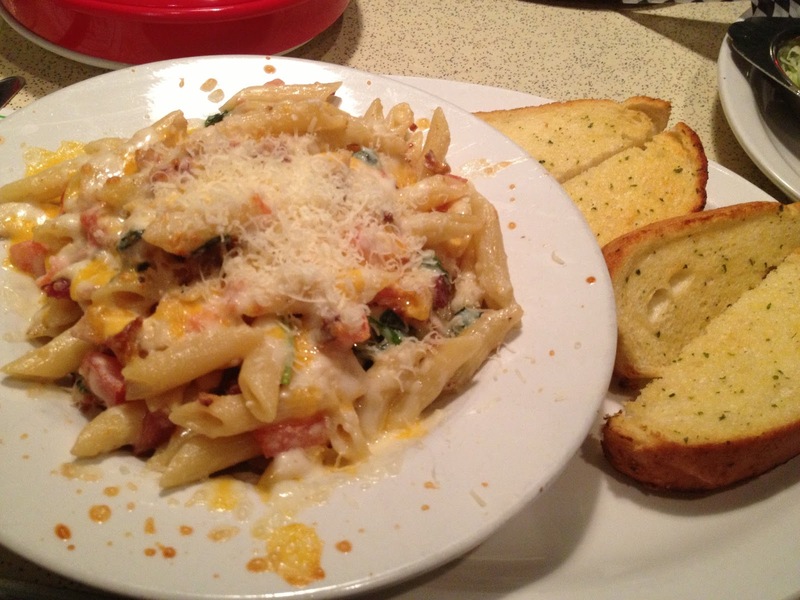 The chicken penne was great. It had everything a club sandwich has, but pasta instead of bread! Cheesy and chickeny; it was delicious. This dish had a lot going on, but it was pretty good. It was even good the next day! 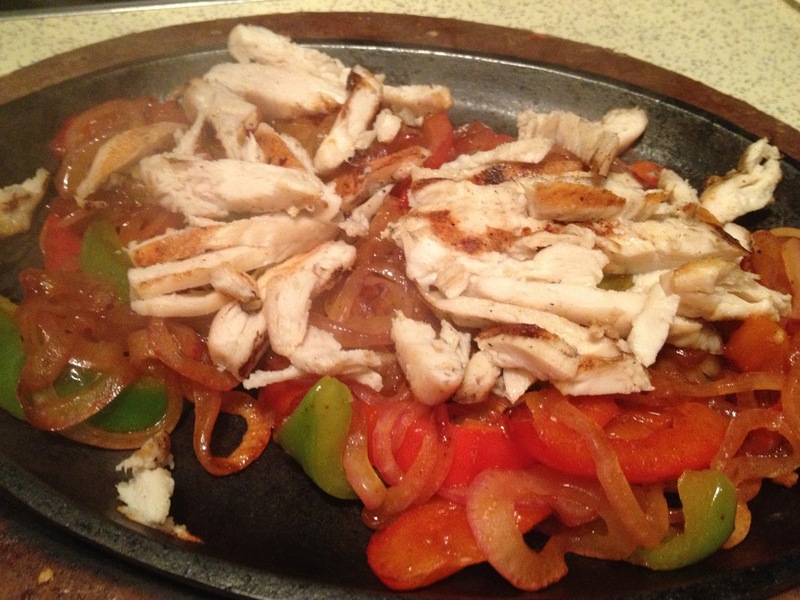 The fajitas were also very tasty. 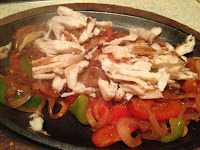 There was lots of tender chicken accompanied by sweet onions, red and green peppers. He had to ask for more tortillas, but there were ample toppings. Who am I kidding? There's never enough cheese! Melanie Pringles has been around for a long time. It's family friendly and beer friendly. With a great oldies atmosphere and great food to match you can't go wrong.